Get a fasting blood testYour blood offers many clues about your heart health. For instance, excessive levels of "bad" cholesterol in your blood can be a sign that you're at increased risk of developing a heart attack. And brain natriuretic peptide (BNP) can help your doctor determine if you have heart failure. It's important to remember that one test alone does not determine your risk of heart disease and that the most important factors contributing to heart disease are smoking, high blood pressure, high cholesterol and diabetes. 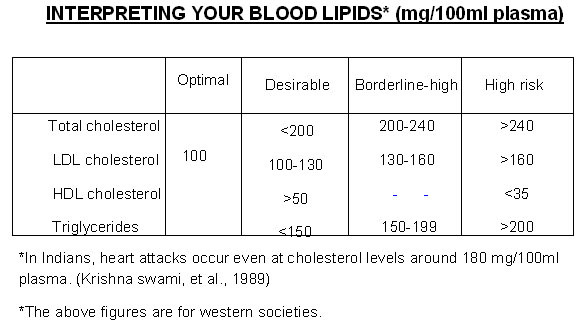 Low-density lipoprotein (LDL) cholesterol. This is sometimes called the "bad" cholesterol. Too much of it in your blood causes the accumulation of fatty deposits (plaques) in your arteries (atherosclerosis), which reduces blood flow. These plaques sometimes rupture and lead to major heart and vascular problems. Triglycerides. Triglycerides are another type of fat in the blood. High triglyceride levels usually mean you regularly eat more calories than you burn. High levels increase your risk of heart disease. Total cholesterol. This is a sum of your blood's cholesterol content. A high level can put you at increased risk of heart disease. C-reactive protein (CRP) is a protein your liver produces as part of your immune system response to injury or infection. It's also produced by muscle cells in the coronary arteries. CRP is a marker for inflammation somewhere in the body. However, CRP tests can't pinpoint where in the body inflammation may be occurring. Inflammation plays a central role in the process of atherosclerosis, in which fatty deposits clog your arteries. While measuring CRP alone won't tell your doctor your risk of heart disease, factoring in CRP test results with other blood tests results and risk factors for heart disease helps create an overall picture of your heart health. High levels of CRP in your blood may be associated with an increased risk of heart attack and sudden cardiac death. High levels of CRP appear to be less useful in predicting your risk of a stroke. The American Heart Association doesn't yet recommend CRP screening for the general public — only those at known risk of heart disease. Recent research indicates CRP testing isn't much better at predicting your heart disease risk than is assessing traditional risk factors, such as high cholesterol, obesity and smoking. Cholesterol-lowering statin medications may reduce CRP levels and decrease your cardiovascular risk. Fibrinogen is a protein in your blood that helps blood clot. But too much may promote excessive clumping of platelets, the type of blood cell largely responsible for clotting. That can cause a clot to form in an artery, leading to a heart attack or stroke. Fibrinogen may also be an indicator of inflammation that accompanies atherosclerosis. It may also aggravate existing injury to artery walls. Your doctor may check your fibrinogen level if you have an increased risk of cardiovascular disease. Smoking, inactivity, excessive alcohol consumption and supplemental estrogen — whether from birth control pills or hormone therapy — may elevate fibrinogen. There is some evidence that having your fibrinogen measured along with your C-reactive protein level may give a better indication of your risk of heart disease. Recent research indicates fibrinogen testing alone isn't much better at predicting your heart disease risk than is assessing traditional risk factors, such as high cholesterol, obesity and smoking. Your doctor may check your homocysteine level if you've had cardiovascular problems but don't have any of the traditional risk factors, such as smoking. Your doctor may also advise screening if any family members developed heart problems at a young age or have high homocysteine levels. Homocysteine levels may drop if you get plenty of folate (folic acid) and B vitamins in your diet through foods such as green, leafy vegetables and fortified grain products or through supplements. But it's not known if reducing your homocysteine level actually reduces your risk of death from cardiovascular disease, and the American Heart Association does not yet consider homocysteine a major risk factor for heart disease. Lipoprotein (a), or Lp(a), is a type of LDL cholesterol. 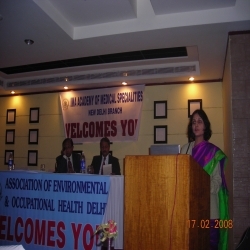 Your Lp(a) level is determined by your genes and is not generally affected by lifestyle. Some research has shown that high levels of Lp(a) may be a sign of increased risk of heart disease, though it's not clear how much risk. Your doctor might order an Lp(a) test if you already have heart disease but appear to have otherwise normal cholesterol levels. Lp(a) is often tested if you have a family history of early-onset heart disease or sudden death. It should also be tested if your LDL cholesterol doesn't respond well to drug treatment. Brain natriuretic peptide, also called B-type natriuretic peptide (BNP), is a protein that your heart and blood vessels produce. BNP acts as a natural diuretic, eliminating fluid, relaxing blood vessels and funneling sodium into the urine. The BNP concentration in your blood can help in the diagnosis and evaluation of heart failure and other heart conditions. When your heart is damaged, your body secretes very high levels of BNP into your bloodstream in an effort to ease the strain on your heart. BNP levels may also rise if you have new or increasing chest pain (unstable angina) or after a heart attack. BNP levels can also be an indicator of heart failure treatment progress over time. Recent research indicates BNP testing isn't much better at predicting your heart attack risk than is assessing traditional risk factors, such as high cholesterol, obesity and smoking. A variation of BNP called N-terminal BNP also is useful in diagnosing heart failure. N-terminal BNP may also be useful in evaluating your risk of heart attack and other problems if you already have heart disease.